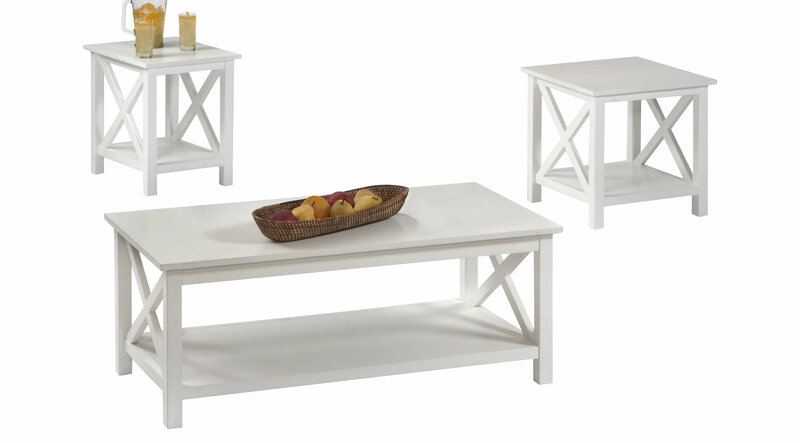 The unique Scotford 3-pack tables for a fresh addition to any room. Large versatile cocktail table features a full lift-top function for proper dining or work surface heights. End table is square for use beside sofa and smaller chairside table is scaled for use in package or separately. All pieces have crisscross design on sides and feature full shelves for additional storage areas.